#1: Mix up your miles. Keep things interesting and avoid overuse injuries by mixing up your walking techniques–try side steps, high knee marches, even walking backwards (only in safe areas and very carefully, of course) to mix up your miles each day! You’ll work more muscles that way and keep your body and mind actively engaged (walking DVDs can help provide you with some ideas to try on your own). You could even go on a walking holiday with your campervan! Pack all of the essentials to survival and charge up the RV batteries to survive the weekend. This is a good way to burn calories and see scenes that you wouldn’t normally see walking in your local area! Just remember, if you are travelling around the country in a camper, be sure to check out One Sure Insurance so that you know all the information and benefits of ensuring a camper! Stand tall, engage your abs, pump your arms – all of these good walking posture points can help you burn more calories and prevent aches and pains during your walks. #3: Add in Speed Intervals. One study found that the simplest way to get started with HIIT training was with walking. Simply alternate a steady, brisk pace with an all-out as fast as you can walk pace to increase your mileage and burn more calories in the same amount of time! Skip holding dumbbells or wearing wrist or ankle weights, though, as they can cause joint strain. If you want to add weight to your walk, consider wearing a weighted vest, which adds the extra poundage where your body can handle it–at your core–instead. 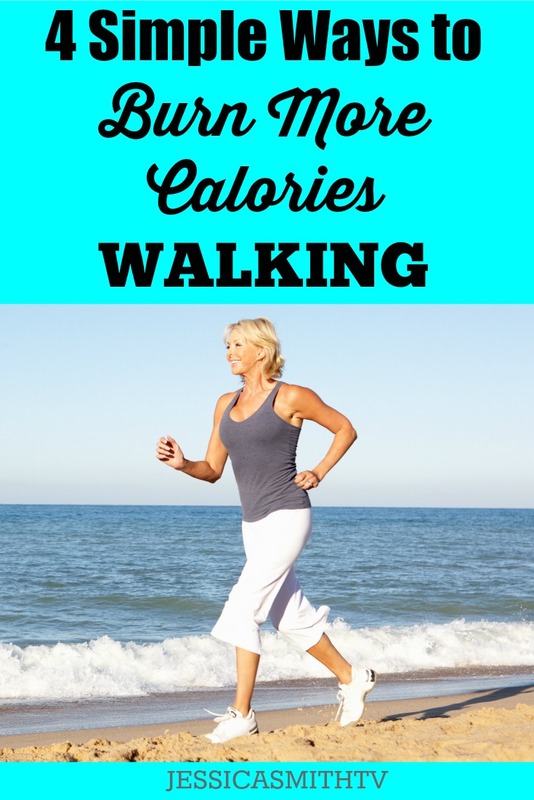 Don’t miss our newest walking DVD, “Walk On: 5 Fat Burning Miles!” We’ve got you covered when it comes to boosting your calorie burn safely and effectively with this comprehensive video.